It is a revised version of my previous article. There are 17 albums released by DIW/SYUN, usually called SYUN label, which have been the projects/works by Susumu Hirasawa. Two albums were released at a time basically. And all the albums can be categorized into three phases. I categorized them according to the dates of release. Let me write my comments on them here. 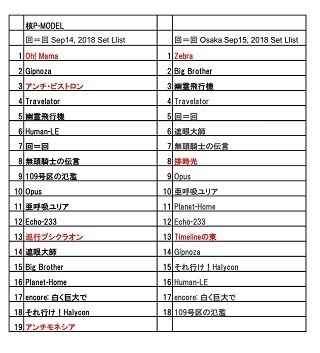 If the work is included in either "Taiyou-Kei Ashu-On (Sound Subspecies in the Solar System) Box Set" by P-MODEL or "20th Century Plus Box Haldyn Dome" by Susumu Hirasawa, I will write which box set it is included in. All the works released by SYUN label were played/composed by the musicians who were P-MODEL members at that time or ex-P-MODEL members. So, I will mention the musicians, too. ※By the way, the SYUN label's works were going to be released again as reprint editions around 2006, but it wasn't carried out because of copyright issues. ⚫It is included in "Haldyn Dome"
⚫It includes all the songs by Shun/旬 released in 1980s. I don't need to explain it. It is the first album by "THE Shun". It includes ①-Location, 1778-1985, [TABLE BEAT], and SHUN-4, which is a very deluxe album. That will explain everything. By the way, this project was called and spelled SHUN in 1980s, and it was called and spelled SYUN in 1990s. It is a must-listen-to album as the first one released from SYUN label. ⚫It is included in Sound Subspecies in the Solar System(Taiyou-Kei Ashu-On) Box Set (P-MODEL). ⚫It is the only official live performance album(CD) released by P-MODEL. It was produced by Susumu Hirasawa and Hikaru Kotobuki. It was the last live performance done at Hibiya Yagai Ongaku-do[Hibiya Open-Air Concert Hall] by the "Defrosted" era of P-MODEL. tekuno da[This is THE Techno music]. ", which I still don't know was a real accident or a fake. It is a mystery. 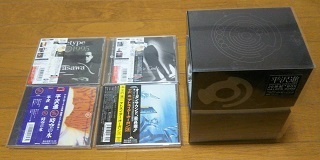 ●It is included in "Sound Subspecies in the Solar System(Taiyou-Kei Ashu-On)" Box Set (P-MODEL). ●The "defrosted" versions of 10 songs by P-MODEL before "freezing" the band are included. 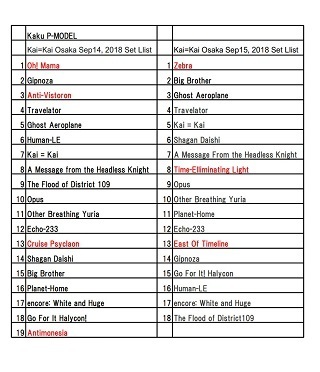 The song list was selected from the middle period of P-MODEL. There is no songs from the first and the second albums. It was arranged by Susumu Hirasawa and Hikaru Kotobuki. They arranged the songs before "freezing" the band into "blip-blop" kind of very electric sound, which earned high praise by the fans. I think it is one of the "must" items among P-MODEL's albums. 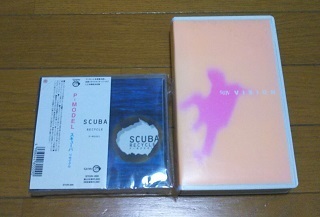 If I have to select three "must" items by P-MODEL, I would choose "In a Model Room" - the pink colored first press record, "Scuba" - the cassette tape with a book, and "Live no Houhou[The Method of Live]". I am sure many fans at that time cried with joy to hear the song Cyborg in "defrosted" version. This is a sample of the most authentic and the most splendid work by P-MODEL. 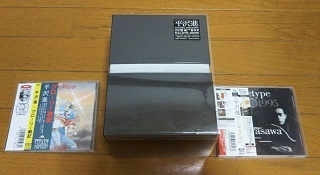 ●It is not included in either of the box set. ●It is a debut album of Phnompenh Model. 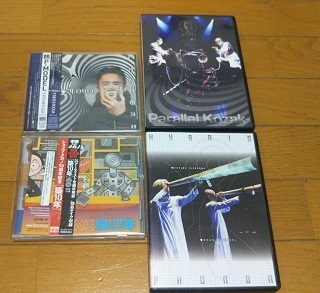 ”Youkei Seijuku Box/Neoteny Box”, ”Ru Ru Ru Otoko/Ru Ru Ru Man”, ”Jigen Jihou/Time-programmed Speaking Clock" are arranged versions of P-MODEL's songs. 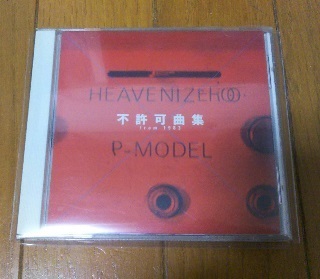 By the way, "2D OR NOT 2D", composed by Hikaru Kotobuki and Susumu Hirasawa, was performed by P-MODEL in the "Revised" era, too. I guess Phnompenh Model is like P-MODEL's brother band who became independent. 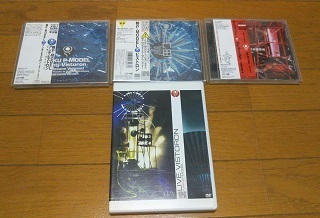 I regard it as wrapping up "the defrosted" era of P-MODEL, along with "Live no Houhou[The Method of Live]". It has a secondary title, "Pre P-MODEL". It was a musical work done by Susumu Hirasawa, Yasumi Tanaka, and Akiro Kamio. It is an arrangement of Bach's "Aria on the G String" on synthesizer. It has a weird taste in a favorable meaning. 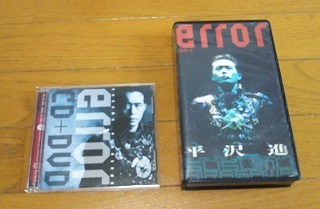 Hirasawa arranged four songs: "Haisen-jou no Aria/Aria on the Wiring", "Mendori/Hen", "Kitairon no Kane/The Bell on Kithairōn" and "Marucherro no Adaajo/Marcello's Adagio". I think the arrangements done by Hirasawa are the best probably because I like his style of music the most as a fan. ⚫It is included in "20th Century Plus Box Haldyn Dome"
It was the first album by Syun released in 1990s. It is called "fractal music" and so on, but it is ambient music in Hirasawa's style in fact. It is a work that makes me realize how versatile Hirasawa's talent is. It is an important album because he expanded the variety of his musical genres after this album. "Landscapes-1" was named "Lotus Gate" when it was included in the soundtrack for the Anime film "Sen-nen Joyuu/Millennium Actress", but the song was originally released in "Landscapes" first. 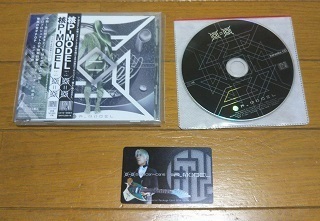 It was an album released before P-MODEL''s album "Fune" was released. It is the re-mix done by Kenji Konishi (P-MODEL) and Hajime Fukuma (P-MODEL). It has the taste that reminds me of the re-mix style in those days for sure. I kind of think they tried to adopt too many unpredictable qualities in some songs, but that was the popular style of techno pop remix at that time. ⚫It is not included in either of the box set. For reference, the advertising copy on "Sim City" by Susumu Hirasawa released on August 2, 1995 was "Get fooled by the cyber-pop!" And "Call" is the best in this album! Susumu Hirasawa, Kenji Konishi, and Miss N participated in this album. The final version in re-arrangement of "SCUBA", that is one of the most important albums by P-MODEL and Susumu Hirasawa. It comes with a booklet explaining about depth psychology and "unconciousness", which tells the story in a different standpoint from the story in the booklet from "SCUBA" cassette tape version (released on October 10, 1984), which was "imaginative". Some sampled sound clips from other albums are used in this album with little change, which I suppose, is a way of "recycling" songs as well as the album itself which is a "recycled" version of the original "SCUBA" album. The graphic design in the booklet is just like a dream world. This album has a very high degree of perfection!! It is the re-issued version of "Shun IV", on a VHS videotape, originally released by Modelhouse label on October 25, 1987. "Location", "Siphon", and "Pae" out of the four tracks were directed by YOU1(Yuichi Hirasawa). ⚫It is included in "20th Century Plus Box Haldyn Dome". The second album by "旬/Shun" in 1990s. It is created in the same method as their previous album, "Landscapes" basically. It is said that this album was made because the previous Shun's album had pleased the transgender MTFs in Thailand who were friends to Hirasawa very much. "Kun Mae-3" was used in an interactive live show, and was remixed in a faster beat speed to be made into a song called "Jouken Douji/Condition Boy" (in the soundtrack for the anime film "Paranoia Agent"). 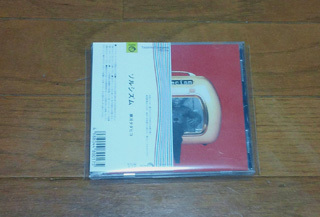 Shifuku-dan was a music project by Masahiro Kitada(ex-INU). He had released an album with Machida Machizo(ex-INU) as Shifuku-dan in 1986. This album was created by Masahiro Kitada and Kenji Konishi. It was recorded in 1985, and was released in 1996 from SYUN Label. Hirasawa commented this album as "The steel Rokkou Oroshi(meaning 'the strong wind from Rokkou Mountains'. Also known as a supporters song for 'Hanshin Tigers' baseball team by the same name, popular in Osaka and Kobe area. Hirasawa chose this word because both Kitada and Konishi were from that area.)" It is super metallic and tinny techno music with intense beats. Awesome! 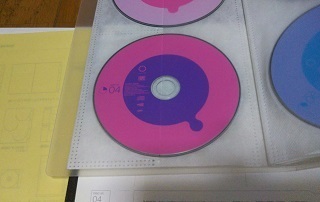 ...However, I wonder if the tracks were released as the old recording untouched or they were mixed again? It is a mystery. Tadahiko Yokogawa joined in the fourth song, "Suki-sa Suki-sa Suki-sa/I Love It, I Love It, I Love It" with bass guitar. I think this album should be more appreciated. It was a musical unit formed by Susumu Hirasawa and Kenji Konishi. It started when Konishi sent a letter to Hirasawa in 1987. They sent music data by postal mail back and forth, making a song a year. Later, they sent music data to each other through internet. This album has full of playful spirit in the music itself, the CD cover, and the liner notes. It really makes me feel excited when I listen to this album. The song "局留め不幸/Kyoku-dome Fuko[Poste Restante Fuko]" is a remix of "Cyborg". It is done in a fun arrangement, being called "Cyborg Dance version"
It is awesome to see the correspondence between Hirasawa and Konishi, which was a techno process/テクノな過程, to make techno music. It was released again in 2012 with a new CD cover and with an additional song, with the title "Convex and Concave". Susumu Hirasawa participated in PEVO's album as a guest vocalist and producer. The name of the band represents the music. It is a fun album. By the way, a P-MODEL's song "Coelacanth" was covered in this album. Another album released on the same date, "不幸はいかが？/How About FUKO?" by 不幸のプロジェクト/FUKO Project, covered P-MODEL's "Cyborg" in a rearrangement. Is it a coincidence, or did they cover P-MODEL's songs at the same time by intention? It is Teruo Nakano's debut album as a solo musician. "Call Up Here", a famous song from P-MODEL, is covered by Teruo himself, which is a very elegant drum'n bass style cover version. All songs in this album are in a high perfection level. I am sure this album is highly valued by a lot of people. Yoshikazu Takahashi, an ex-P-MODEL, offered his musical instruments to be used in this album. Teruo Nakano says he was encouraged by Susumu Hirasawa to make this album when "The Long Vacation", the band he belonged to at that time, was in a pause (according to an interview to Teruo Nakano). The VHS video, originally released by Modelhouse label in 1988, was re-issued by Syun label in 1996. Two new tracks were added, and the quality of the image was deteriorated. It was re-issued later again as a DVD by Teslakte label in 2005. This video was originally taped at a show in 1988, which is the precious movie of P-MODEL right before the "Freezing". This is the last album released by Syun Label. Syun label had released two products at a time, but this one was released on its own as an exception. And it was released about an year later from the previous issues by the label, "User Unknown" and "Sankai no Jintai Chizu". Also, this album doesn't have a commentary by Susumu Hirasawa, which had been always included in the products issued by the label. This album was made in the same method as Yokogawa's previous album, "Dive". *Shun/旬: means "the season", or "the best season for something, usually vegetables, fruits and fish". Pronounced "shoon". Also spelled as Syun. This is an attempt to have one of my past blog articles in Japanese translated into English by Lucy, my Japanese friend, known to overseas Hirasawa fans, who has translated the essays written by the fans from abroad in English to Japanese and other Japanese to English translation in this blog of mine. Thank you for your wonderful translation, Lucy! Earlier this year, I told her I wanted to ask her to translate one of my blog articles into English, which might please Hirasawa fans abroad. She asked which article would be the best, and I chose this one explaining the Syun Label CDs and videos. It was the right choice, I believe. Some of the originally issued CDs and videos released by Syun Label are hard to get because it has been a long time since they became not available from the Label itself. 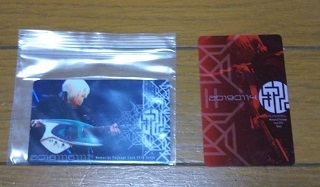 Some of them are very rare on the second-hand market even in Japan, though others can be obtained in different ways like included in the box sets released later. I didn't think this article would be read by the fans from abroad when I wrote it, so I am sorry if there are any parts not easy to understand for overseas fans. But I hope you enjoy reading it as an article written by a maniac fan in Japan who is a collector of Hirasawa's CDs and other works. Thank you for reading it! Adios!